the drive up the hill to the trees and garden produce that surround the pretty wood music studio. learning music surrounded by other double bass instruments – each unique in their form and colour. Peter’s insightful instruction – gentle correction when needed, reassuring, encouraging. leaving each lesson motivated and with a sense of musical purpose. learning skills by playing music rather than drills. connecting with other players and teachers through the bass workshops. appreciating the varied repertoire and the ways in which each person makes the instrument their own. listening, learning, playing with leading international double bass players at the bass workshops. feeling part of a community of people/musicians who play and love the bass. 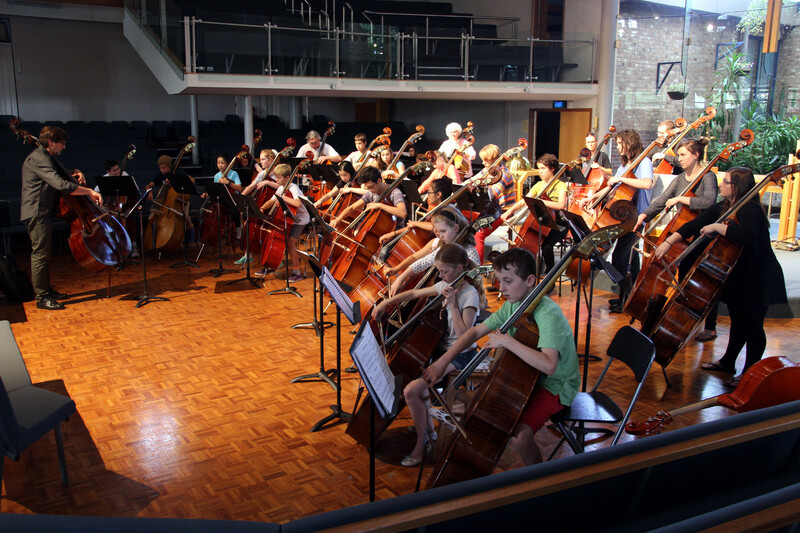 “Just to let you know Zoe performed exceptionally on the Bass at the school concert. She had an 8-note solo at the beginning of one number, and smashed it out of the hall. I am sure she will tell you all about it in the time I am taking the bass out of the bag and she is giving you the run down a mile a minute! 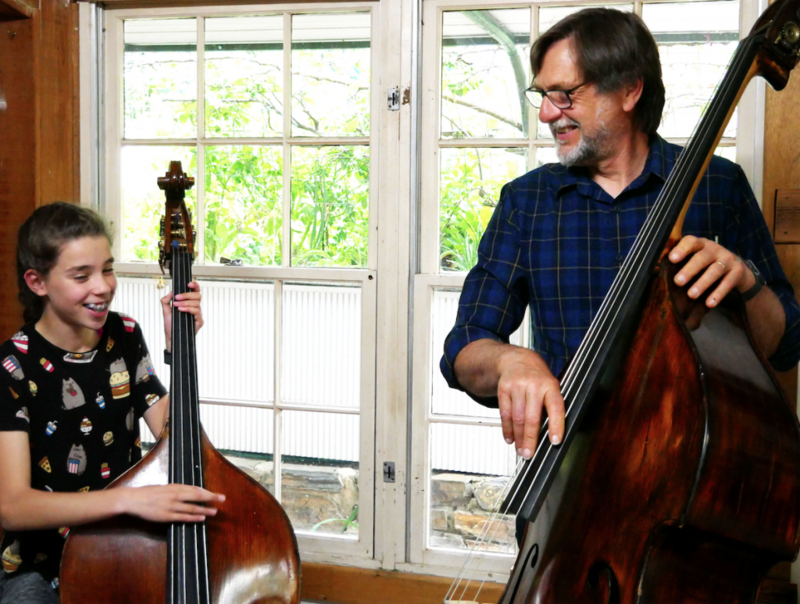 Peter teaches music with a passion and humour rarely seen in music teachers. Peter is kind, patient and it amazes me how much he can get out of my daughter in a half hour session. 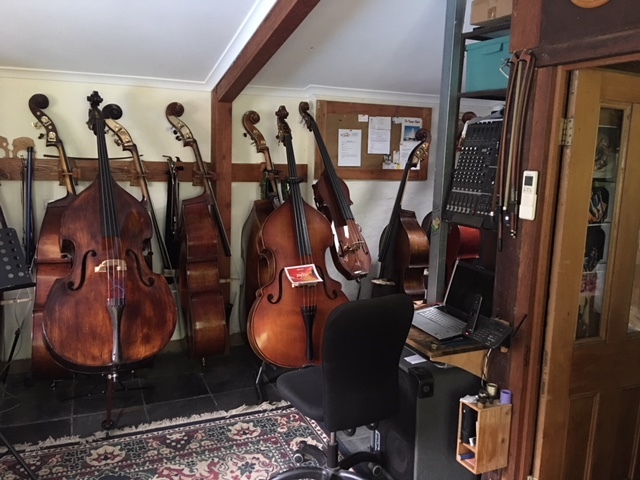 “It would be impossible to overstate our endorsement of Peter and Bassworks as the pre-eminent resource for all matters pertaining to the double bass. Adelaide is indeed lucky to have him. he structure of instruments, the mechanics of playing, and the theory of music all into a comprehensive learning experience.